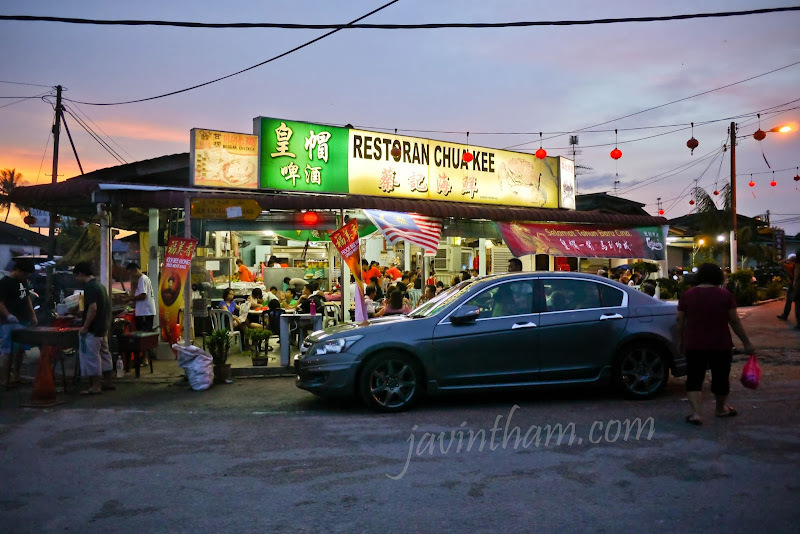 Wilsen searched for a few apparently famous seafood restaurants near Johor Bahru and found Chua Kee Restaurant 蔡記海鮮, located in Gelang Patah. We boarded bus CW4 ($4) from Jurong East Interchange at 5pm and headed towards Gelang Patah, Johor. After crossing the Johor border checkpoint, having journeyed the Bukit Indah district, we suspected that we're on the wrong CW bus. Upon confirmation from the bus driver, we were right - we boarded bus CW3 which tours around Taman Bukit Indah, instead of the original bus CW4 which would bring us to Gelang Patah, and that all happened after we crossed the Johor border checkpoint. Left with no choice, we alighted at Taman Perling where the bus looped back, and 8 of us had to flag for 2 taxis from there to get us to Gelang Patah. I got onto the 2nd taxi which was charging by mileage, coming up to a total of RM17, while the 1st one was charging a one-time fee of RM32, which was a bloody rip off obviously. I could tell that the waitress who was taking our order was pretty hasty and sarcastic in an indecent manner, probably sick of us not making up our mind faster than she expected. Deep-fried mantou, I love this dish and eating them dry without dipping in gravy is sufficiently savoury! We ordered fish as well, which I didn't take photo of. 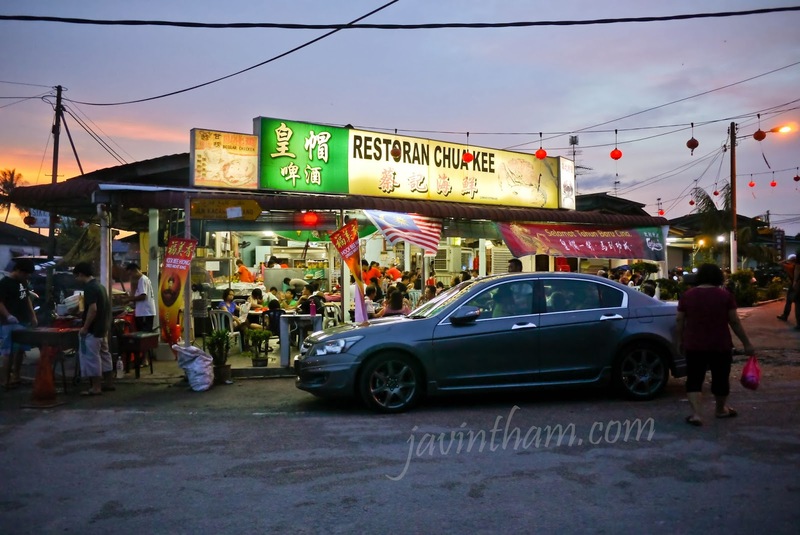 The dinner costs RM306 (around RM38 per person) - marginally affordable. Furthermore, as long as it's in Ringgit, it's often treated as something inexpensive. I believe some Singaporeans gave a pretty good rating to this restaurant, our rating however, would rather be average or somewhere which says 'acceptable'. Nevertheless, it'd be a nice spot to have seafood away from the island. A sweet and short getaway dinner is great for reminiscing and catching up with old buddies. We see each other's growth as an NUS undergraduate turned working adult, apart from getting useful and relevant updates (eg. Wilsen and I learnt that we could actually shift our PR e-appointment to an earlier available date, LOL...).